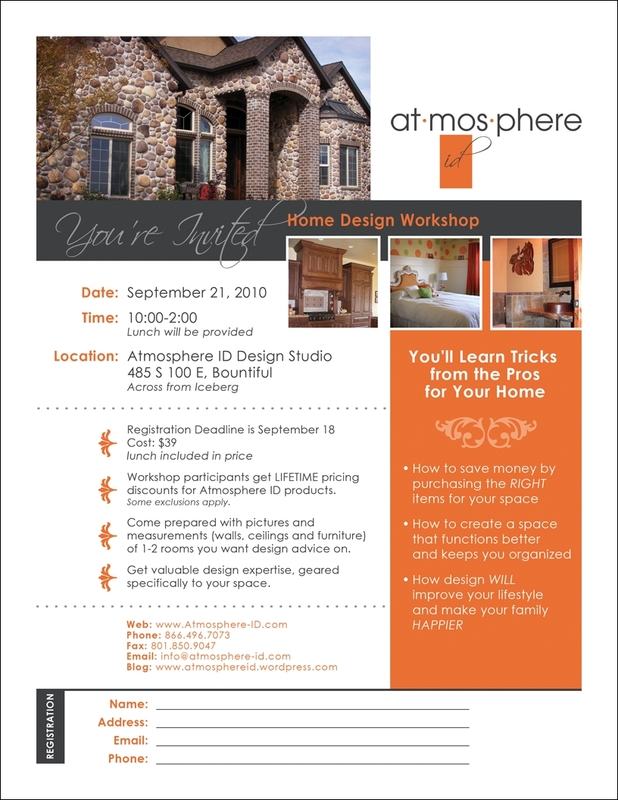 You are cordially invited to a design workshop. Please RSVP (and reserve your spot) by completing the bottom portion of the flier below and returning it to Atmosphere ID (via fax, email, or snail mail). If there is a particular designer that you would like to work with please make a note on you registration.